This is an 11" all cherry Spartan model. It has a 1/4" rolled brass tone ring, a flush fret macassar ebony fingerboard with matching peghead overlay. Antiqued hardware and a goat skin head. 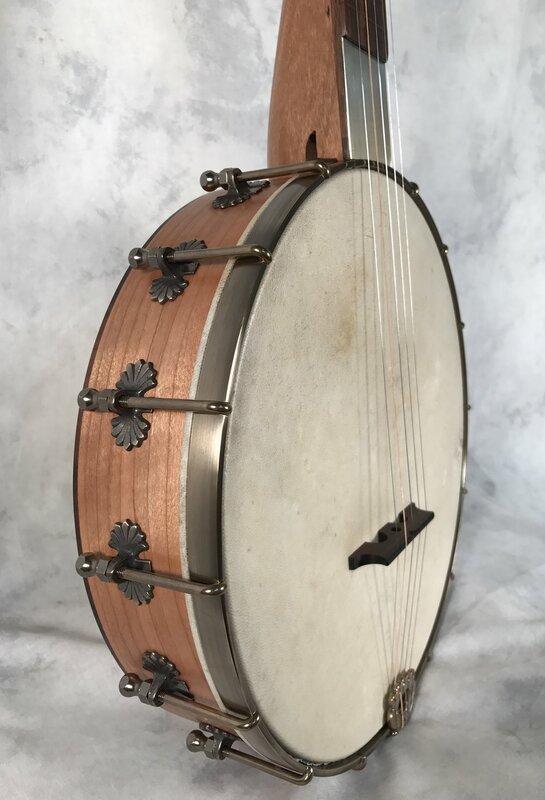 This banjo went to Boulder, CO.